On January 31st, 2013 at 7:30pm, UJA Federation of Greater Toronto’s Israel Engagement Committee, along with the Centre for Jewish and Israel Affairs, are pleased to offer you an opportunity to participate in what is sure to be a lively, provocative and interactive evening about our relationship with Israel as Diaspora Jews. The event, featuring Dr. Ken Stein, will take place at Toronto’s Park Hyatt Hotel (4 Avenue Road). Dr Stein will help us to understand how to maintain and grow strong relationships with Israel that are based on the real Israel, not the imagined or mythical Israel. Those who attend are sure to be better able to deal with the challenge of loving a country which is both incredible and yet flawed. Dr. Stein has an impressive pedigree. 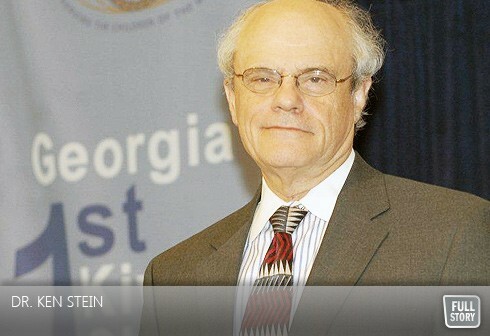 At Emory University in Atlanta, Georgia, Dr. Ken Stein is the William E. Schatten Professor of Contemporary Middle Eastern History, Political Science and Israeli Studies. Since coming to Emory in 1977, he founded and developed the International Studies Center, was the first director of the Carter Center (1983-1986), and established in 1988, the Institute for the Study of Modern Israel (ISMI). In spring 2006, he was a visiting professor of Political Science at Brown University. In 2007, he established an independent entity, the Center for Israel Education (CIE), where he remains as President. He has conducted more than two dozen teacher workshops reaching over 1900 Jewish teachers in North America. Don’t miss what promises to be an informative and entertaining evening. Tickets are $25, and include a dessert reception. Kashruth observed. Register online here or contact Anna Fanizza at 416.635.5263 or afanizza@ujafed.org. Summer Comes Alive in Toronto with "PJ Kids go to Camp"